The Jacksonville Armada just finished their inaugural season, setting league attendance records and thrilling fans of the beautiful game in the city in the process. We had the pleasure of putting the Armada footballers in some of the season’s finest men’s fashions for Jacksonville Magazine‘s December fashion editorial — on newsstands now. 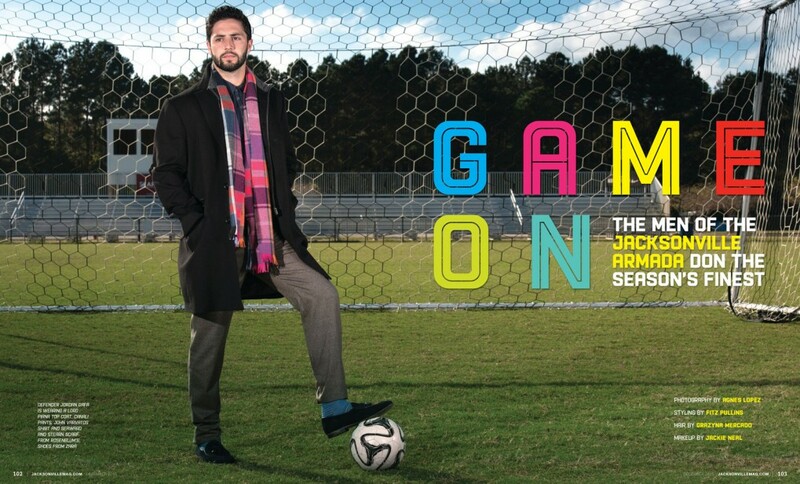 Defender Jordan Gafa is wearing a Loro Piana Top coat, Canali Pants, John Varvatos shirt and Seaward and Stearn scarf from Rosenblum’s; shoes from Zara. And special thanks to the team at CollabCreation Films for putting together this teaser video from the shoot!